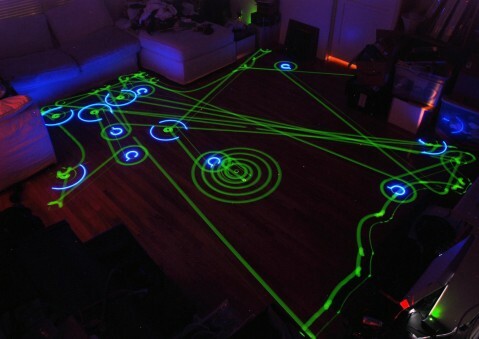 In our continuing effort to amass all the coolest robot vacuum cleaner stuff in one place, I present to you a Flickr group dedicated to people who make long-exposure photographs of their iRobot Rhoomba robot vacuum cleaners zipping around their rooms. Some of these photos are up to 30 minutes or more long. Another thing that some of the photographers have do is to make sure there are some dirty spots so that the Rhoomba will make some special little spots. I know I’m not doing a great job explaining it, but if you check out the photo, I’m sure you’ll see what I mean. 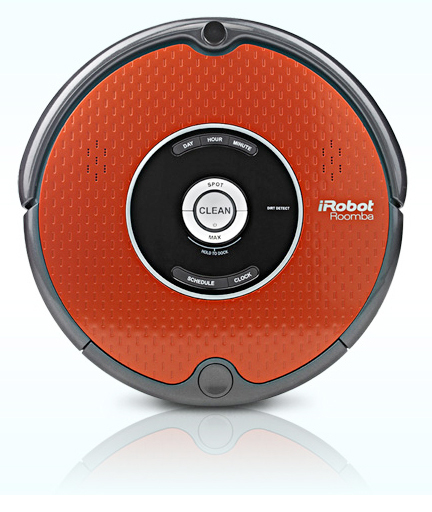 iRobot Roomba Cleans ANYTHING. ANYTHING! 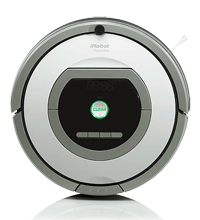 Check out this video which demonstrates once and for all that the iRobot Roomba Pet Series 532 Vacuum Cleaning Robot will clean up any kind of mess. Even messes that try to get up and run away.